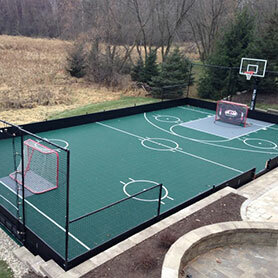 Multi-Sport - A Court for Every Sport! Mom and Dad like Pickleball and badminton, but the kids are into basketball, volleyball, hockey and tennis. Enter the Sport Court Game Court, play over 15 games and sports on one court! 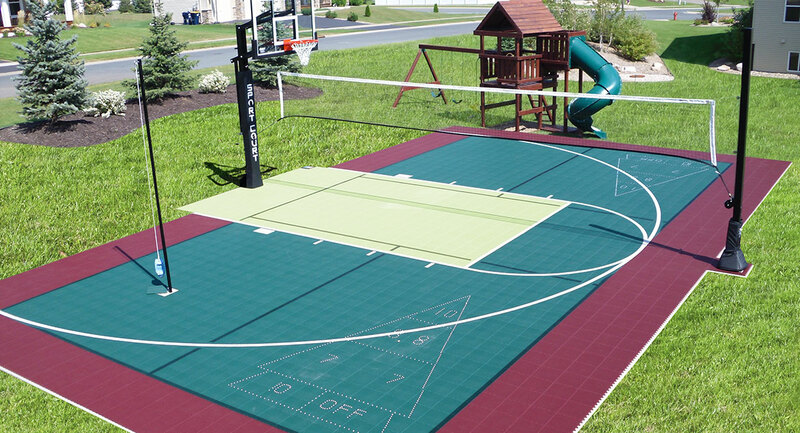 ​Sport Court invented the Game Court/ Multi-use Court back in 1974, it is the most popular and versatile court for families who want the ability to play a variety of sports; Including Basketball, Pickleball and Volleyball in one court. In total there are over 15 games you can play on one court! 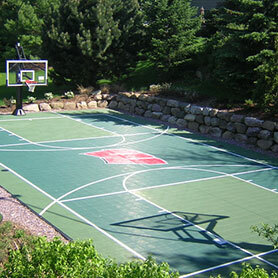 Let Sport Court WI custom build your court, with over 30 years experience you can trust our expertise. Sizes vary and we custom build every court to your exact desires, from 25'x45' up to an amazing court for every sport at 50'x80'. A typical court is built from start to finish in 3-4 days, that means you're playing with your family on your very own court soon!